Most great, dramatic eyes have one thing in common: good under-eye makeup and we’re not talking about concealer on dark circles. We’re talking shadow, liner and mascara along the lower lash line that rounds out all of the best smokey and reverse cat eye looks. For many, lower-lash mascara or smudged black shadow under the eyes can visually drag down the eyes. So how can you pull off the latest and greatest eye makeup looks and not have panda eyes by the end of the night? 1. Get the ratio right. You should always have more makeup on your upper lid than on your lower lash line. The golden ratio for upper to lower application is two to one. Kohls are perfect for this and when applied to the waterline, almost inside the eye, they make the eyes stand out. 3. Use products that will last. Go for products that are waterproof and really longwearing. You don’t want a tear to mix in and then find that your makeup is suddenly halfway down your face. In our own range our Inside Out 27Hr Eye Kohls and Secret Weapen 24Hr Eye Liners are a must try. 4. Beware of bottom-lash mascara. 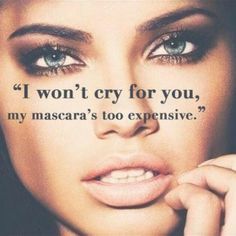 If you’re lucky enough to have the lashes to support the look, make sure that the mascara is water resistant and that the wand is completely clean of excess makeup, so you don’t have clumps. 5. Lastly, and most importantly stand still. You don’t tend to move too much when your applying face makeup and the same still stance should carry through when you get to your eyes. Try to keep them open while putting on shadow and liner. You’ll have more control and therefore get the results you’re looking for. ← How To Choose The Best Concealer?